MISSION Queensland Firebirds captain Laura Geitz Firebirds believes the memory of a two-point grand final loss to the Adelaide Thunderbirds is something which will help galvanise the team in next season's competition. Earlier this season, Geitz played her 100th ANZ Championship game after starting with the Canberra Darters while at the AIS and on Sunday brought up her 80th game with the Firebirds in the 50-48 loss, the closest final margin in championship history. 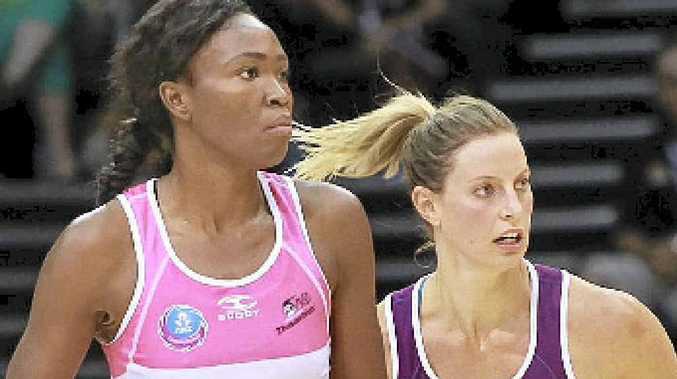 Geitz finished the season in excellent form which is expected to boost her chances of selection in the Australian Diamonds squad which will be named later this week. After the grand final loss, Geitz had nothing but praise for her teammates. "We're obviously all bitterly disappointed, but what a fantastic game. "No one expected that we would be here. But I always believed that we could make it. I just hope that this playing group stays together." Geitz was humble when asked if she thought she was an inspirational leader for her team. "I don't know about inspirational. This is my first year in the role and I've learnt a hell of a lot, and I still have a hell of a lot to learn. I just took the opportunity with both hands, and they're a very easy group of girls to lead. I hope that I come back next year bigger and better and stronger for it."